A golden opportunity to rewatch MBC’s well made drama that was the hot topic of conversation! 2015’s ’60 minute drama’ has returned! Through Channel MBC Queen, viewers will be able to watch ‘2015’s 60 minute drama’. Six episodes of MBC’s classic drama will be selected with plans to upgrade it with more exciting contents for viewers. ‘2015’s 60 minute drama’ s first anticipated work had a viewer rating of 19.5% (Nielsen Korea) and set a record for number 1 in viewer ratings. It is the fantasy fusion sageuk ‘Gu Family Book’. Having appeal to viewers, the meeting of writer Kang Eun Kyung and director Shin Woo Chul drew a great amount of interest from the beginning. To break free of the image as the Nation’s First Love, Bae Suzy showed off her swordsmanship skills while Lee Seung Gi overflowed with charisma exuding a masculine beauty. You get to rewatch it! ‘2015’s 60minute drama – ‘Gu Family Book ’ episodes can be watched through MBC Queen on May 15th (Fri) at 9pm KST. Through MBC Dramanet, it will air starting on May 16th (Mon) at 1:20am KST. Categories: article, Gu Family Book, News, Press, translation | Tags: article, Gu Family Book, MBC, press, translation | Permalink. Categories: Anniversary, Drama, Fan Art, Gu Family Book, Photos | Tags: 2nd anniversary, aaasti_, Anniversary, fan art, Gu Family Book | Permalink. 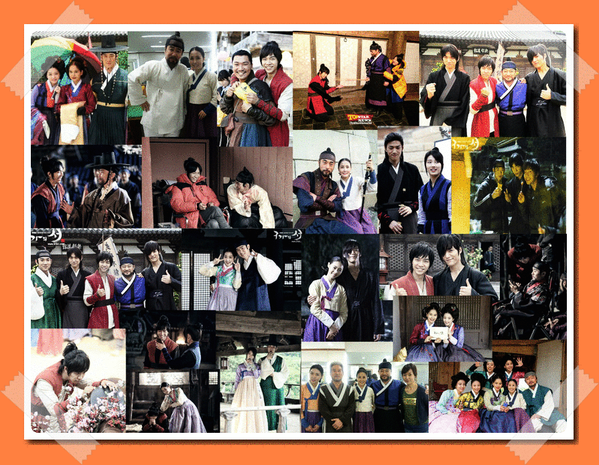 Happy 2nd Anniversary to The Gu Family Book! 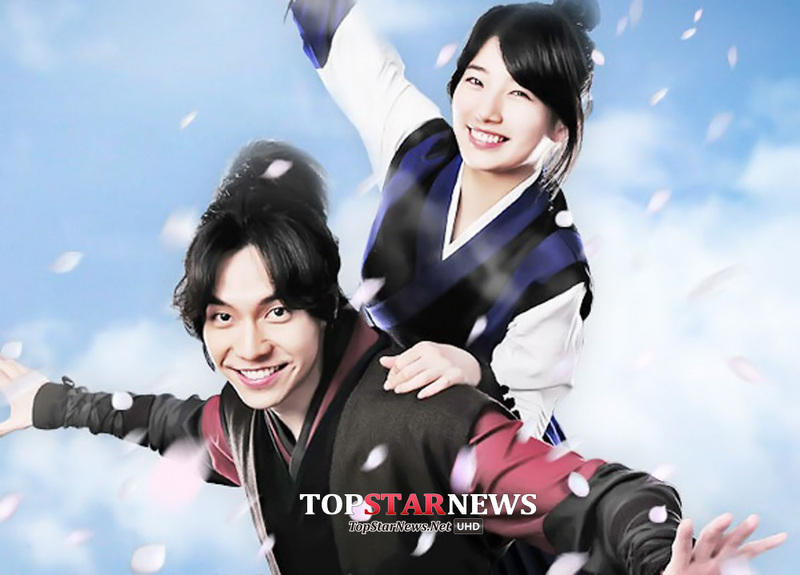 It’s already been 2 years since The Gu Family Book aired on April 8, 2013 on MBC. Mondays and Tuesdays were never days to dread even though they were the beginning of the work week because of this awesome sageuk-fantasy drama. It ran for 24 episodes and ended on June 25, 2013. In his interviews, Seung Gi said he would not be interested in doing a part 2 of this drama because he suffered so much physically during filming. Instead, if he played a character in a sageuk, he prefers to play a nobleman so he doesn’t have to kneel like Kangchi did. In celebration of its 2nd Anniversary, I’ve uploaded some fanvideos and fan art. Categories: Anniversary, Drama, Fan Art, fanvideo, Gu Family Book, Photos, Video | Tags: 2nd anniversary, fan art, fanvideos, Gu Family Book | Permalink. This video was reuploaded on dclsg less than an hour ago by the same person who created fan videos for TK2H and the Gu Family Book. She said members wanted to watch more Kangchi and is walking down memory lane with the “beastly” version of him in this one. Categories: fanvideo, Gu Family Book, Video | Tags: fan video, haesong225, 시크, Kangchi, The Gu Family Book, video | Permalink. I’ve provided English translations below the fanvideo for Kangchi and Yeo Wool’s dialogue. I’m sure you all know what they’re saying since you’ve watched the subbed version of this fantastic drama. It’s one of my favorites. 🙂 The dclsg fan who uploaded this video today must be feeling nostalgic since yesterday was all about TK2H. ^^ This video must’ve been edited since it was published less than an hour ago on you tube. Kangchi: Yeo Wool, when I meet you again, at that time, I’ll recognize you first. Yeo Wool: Do you know me? Kangchi: When I meet you again, at that time, I’ll love you first…Well, I feel like I know you…but also feel that I don’t know you….Also, my time which had stopped started flowing again. Categories: Drama, fanvideo, Gu Family Book, translation, Video | Tags: fan video, haesong225, Kangchi, The Gu Family Book, translation, video, Yeo Wool | Permalink. 4. “Loser-like” quality~ for the last two pics, it asks jokingly the meaning of the word and whether it is something to eat. LOL. Categories: Anniversary, dclsg, Drama, Fan Art, Gu Family Book, Photos, translation, Variety, Variety show, You Are All Surrounded | Tags: 10th Debut Anniversary, chart, dclsg, Lee Seung Gi, ranking | Permalink. 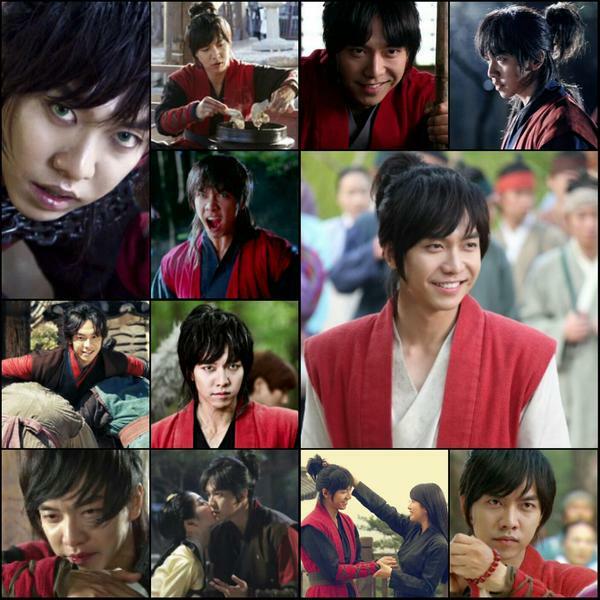 These are more fan videos celebrating Seung Gi winning the Outstanding Leading Actor Award for The Gu Family Book. The drama also won Outstanding Costume Drama Award at the 2nd Asia Rainbow TV Awards on June 26, 2014 in Macao. Categories: Awards ceremony, dclsg, fanvideo, Gu Family Book, Video | Tags: fan video, Gu Family Book, haesong225, video | Permalink.